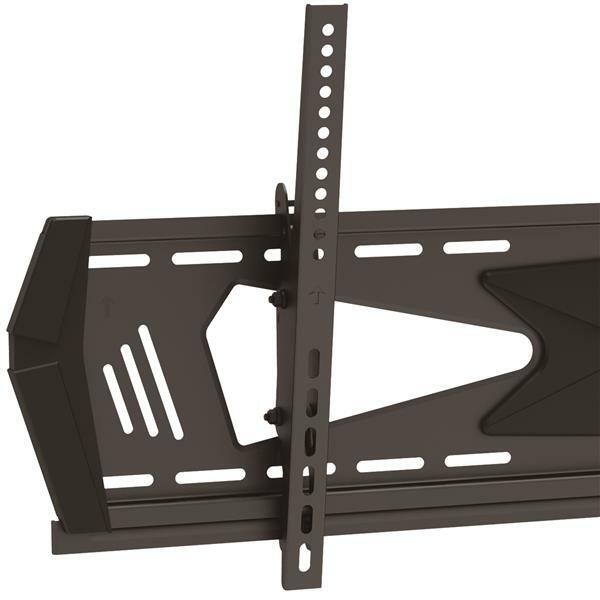 Save space while improving the appearance of your work area, with this low-profile TV wall mount. 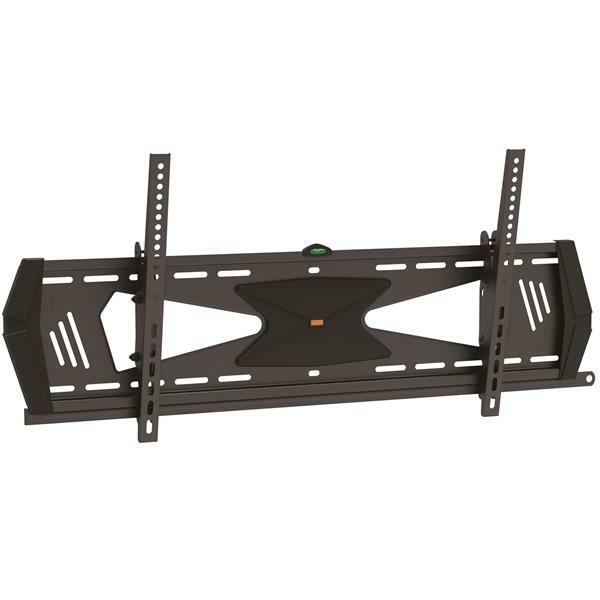 The mount sits close to the wall to support a VESA Mount compliant TV from 37” to 75”, and offers anti-theft protection as well as titling capability that makes it easy to find the perfect viewing position. Mount your flat-screen TV or monitor in a location that's convenient for visitors, clients or employees. The wall mount safely and securely supports your TV about two inches (51 mm) from the wall to provide a sleek, low-profile look. It’s ideal for lobbies, hallways, boardrooms, works areas, customer-facing areas or for creating digital signage. 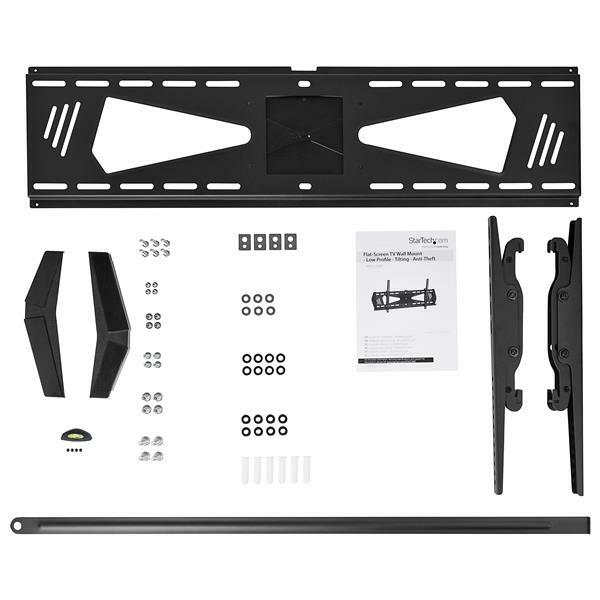 The wall mount supports most 37" to 75" (940 to 1905 mm) LED or LCD flat panel TVs weighing up to 88 lb. (40 kg). This TV wall mount tilts -10 to +5 degrees, so you can adjust the angle of your display with ease to customize your viewing experience. 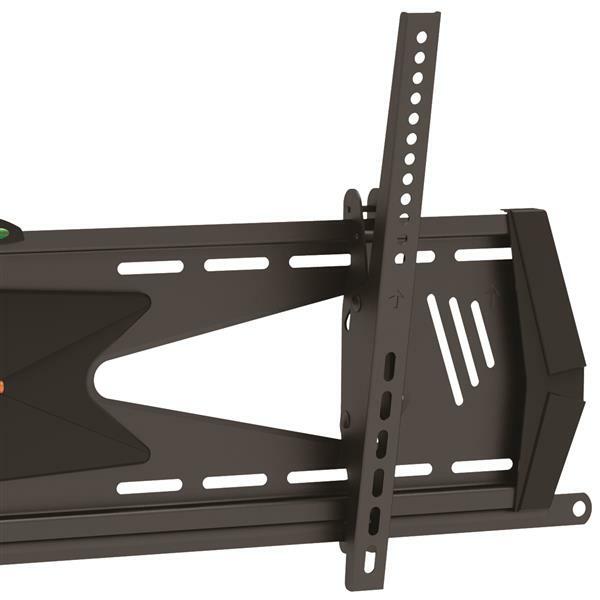 Engineered with heavy-duty steel, the robust steel TV wall mount securely supports your flat-screen TV, to protect your investment. 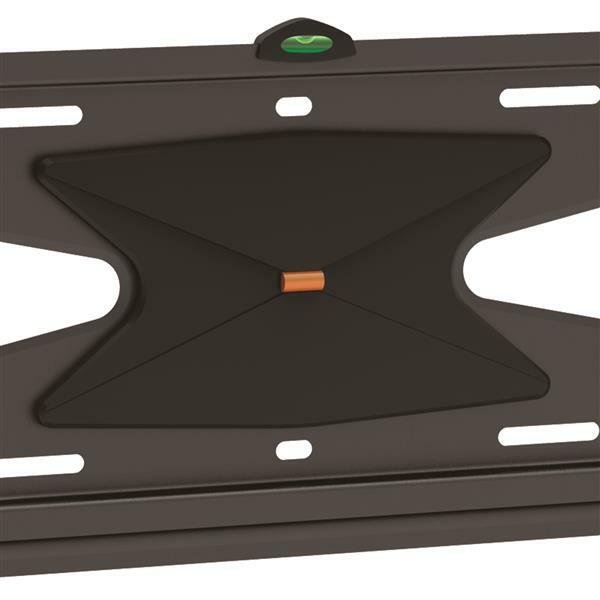 Ideal for areas with high traffic and minimal supervision, the TV mount features a steel bar that can be locked into place with a padlock (purchased separately) to protect your TV or monitor against theft. A built-in level helps to ensure your TV is aligned in a straight position on your wall, to ensure optimum viewing. The FPWTLTBAT is backed by a StarTech.com 5-year warranty and free lifetime technical support.